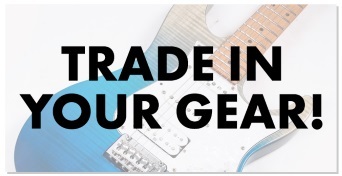 No other guitar maker has access to the exact hand-selected exotic veneers used for world renown DW Collector’s Series® drums. 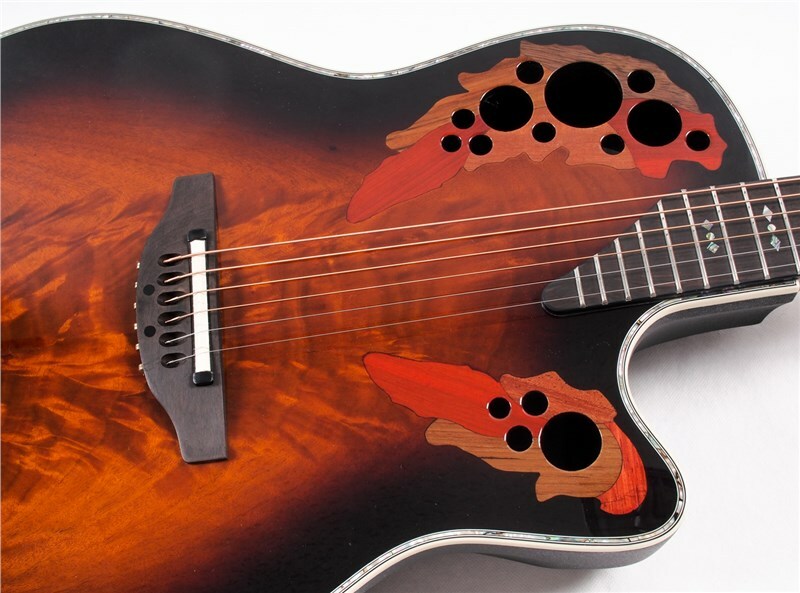 Artfully book-matched in California to create a distinctive look that would make Mother Nature proud. 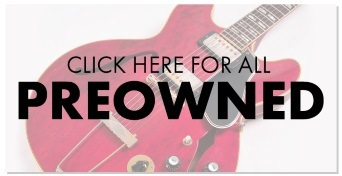 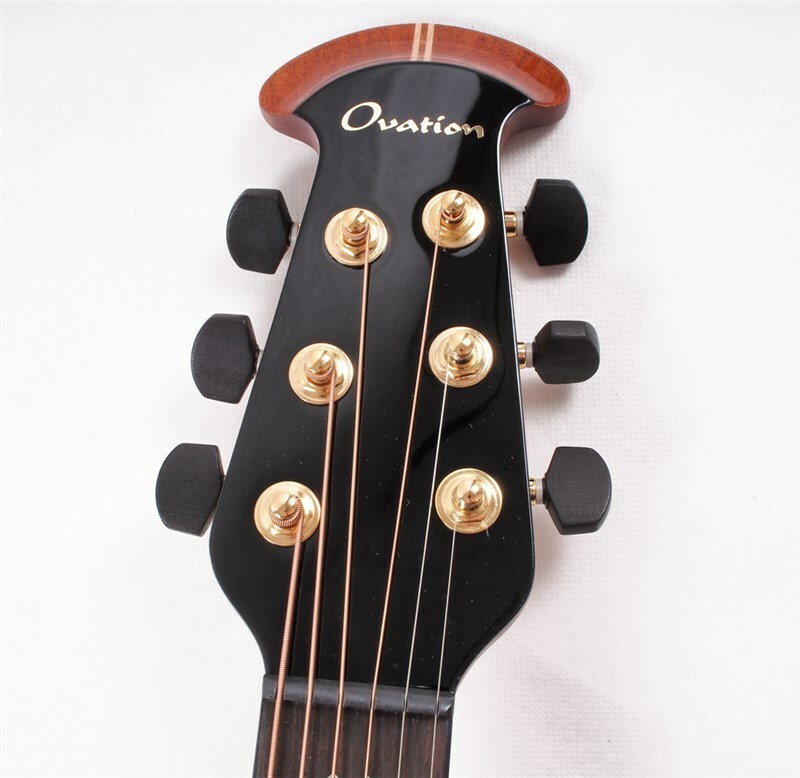 Combined with legendary Ovation tone, playability and optimised electronics. 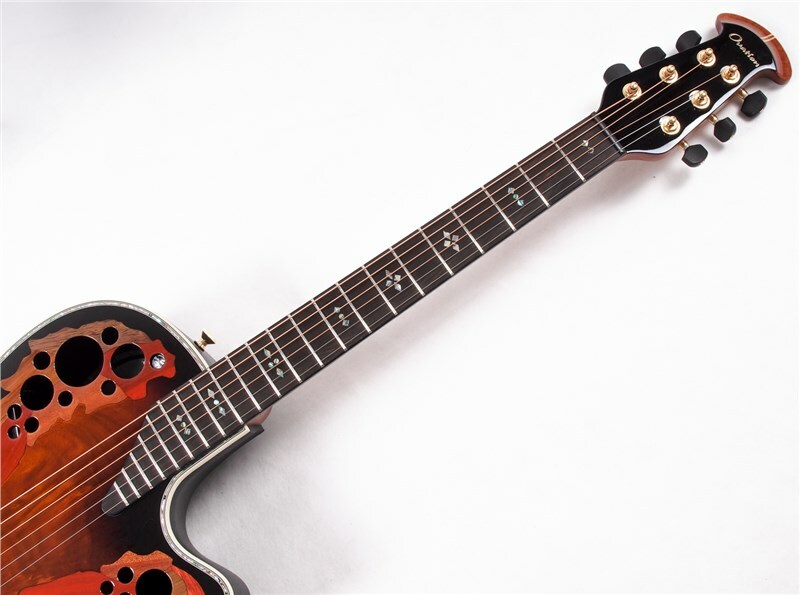 The Collector's Series Elite Plus features a premium AAA grade solid-spruce top with LX scalloped bracing, hand selected exotic wood veneer, abalone body/fretboard inlays, and a deluxe ebony fretboard and bridge. 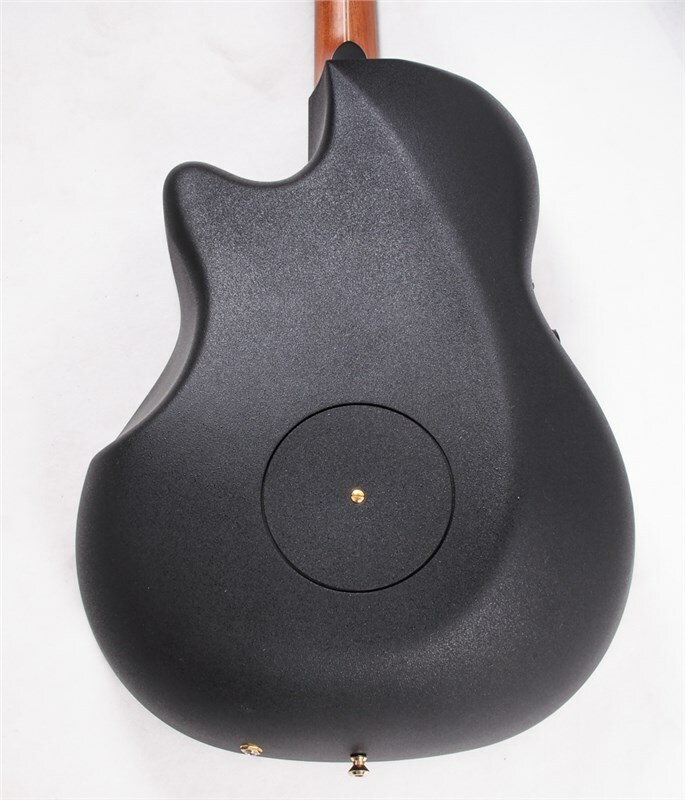 A Contour composite body maximises acoustic output and is ergonomically designed for comfort in any playing position. 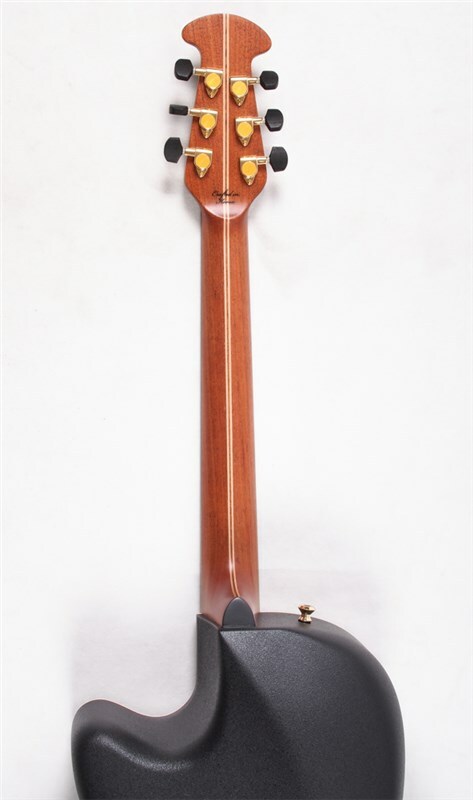 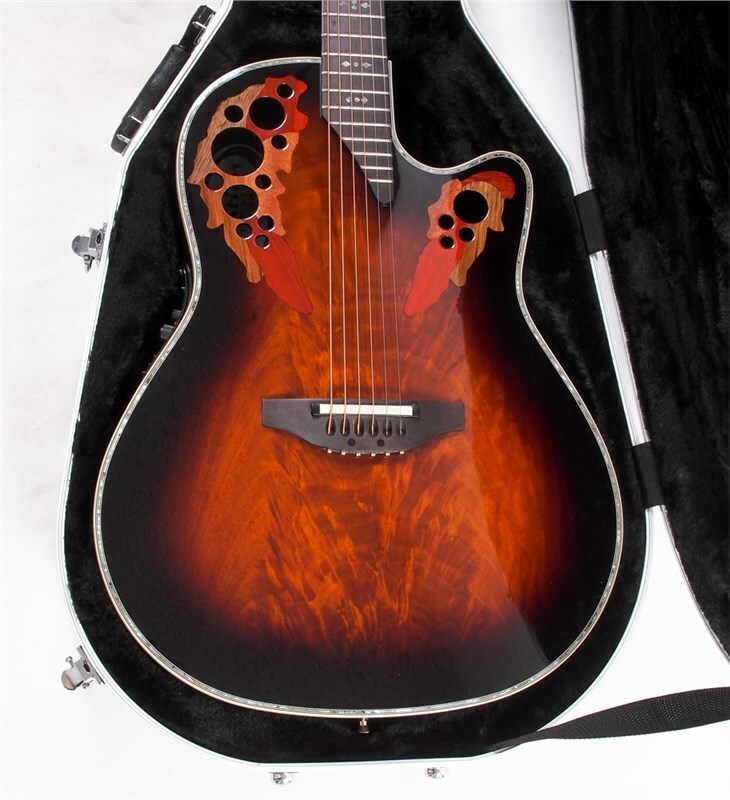 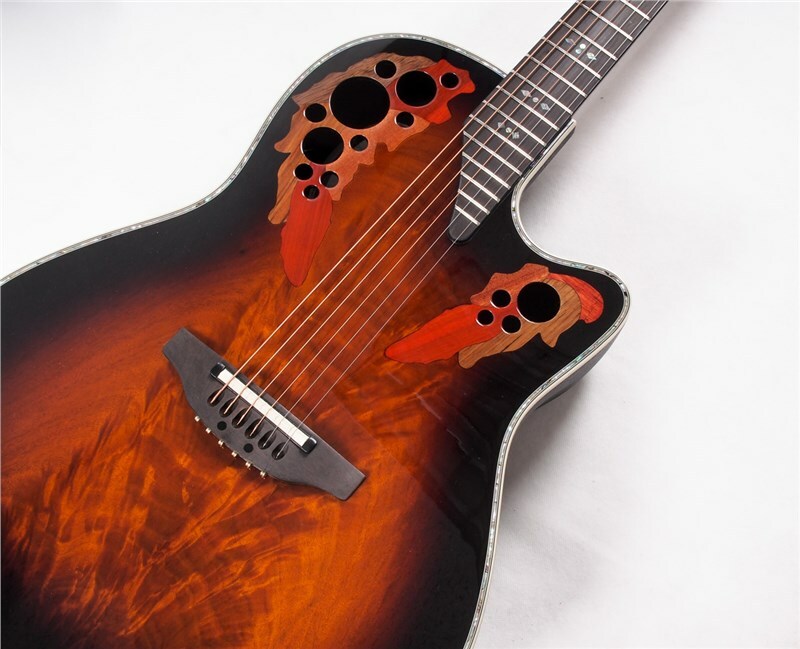 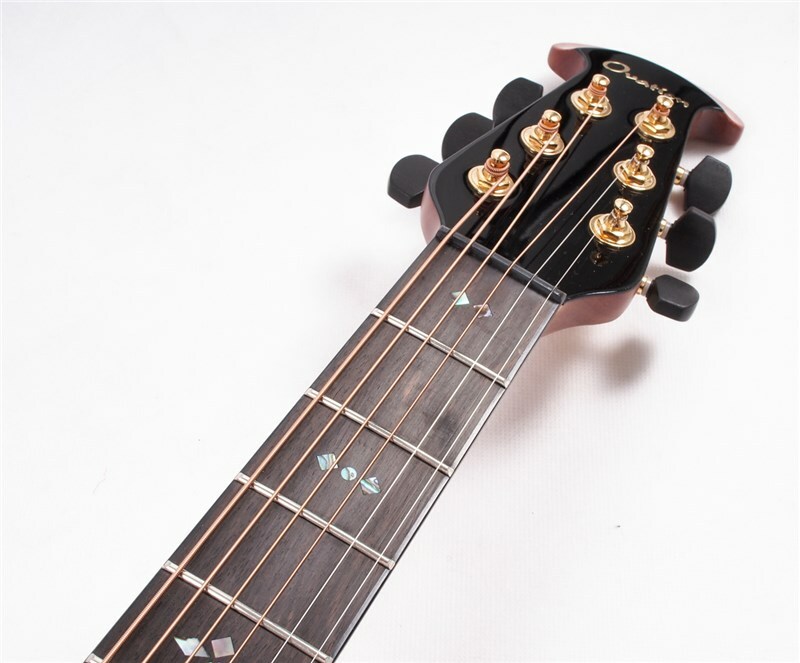 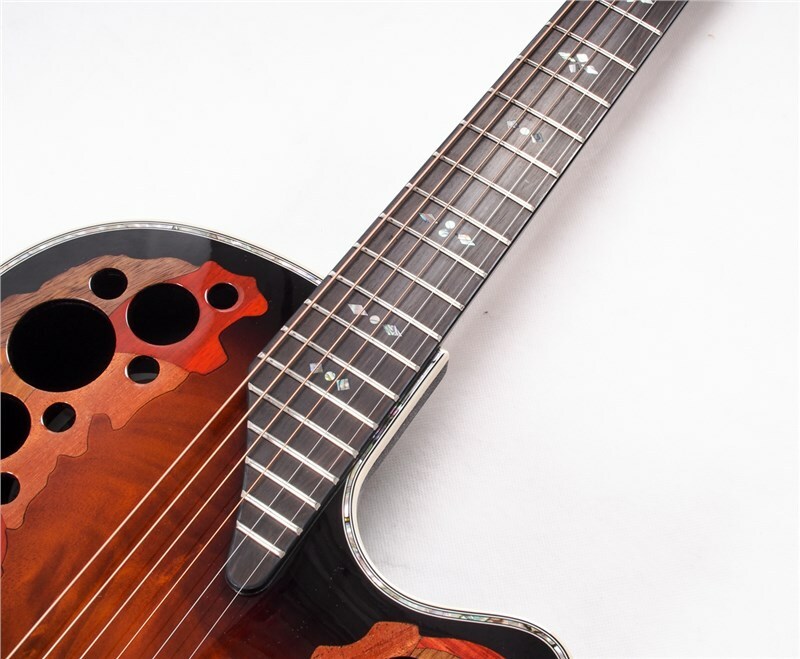 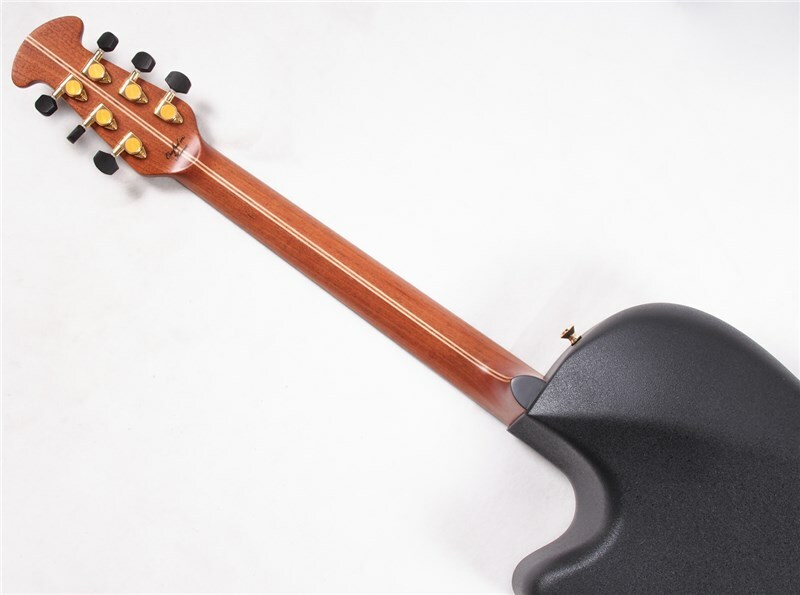 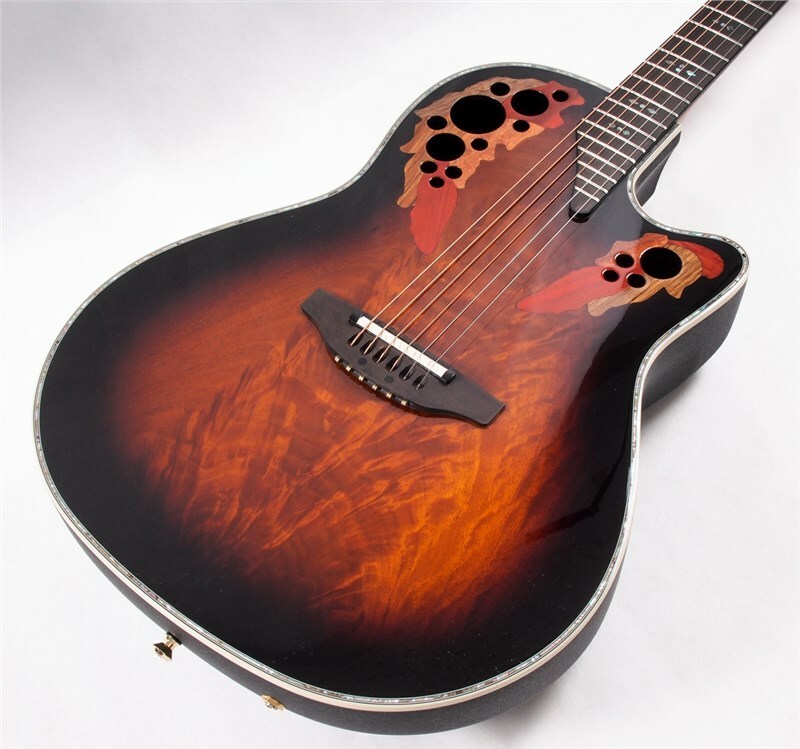 Laser-cut, exotic wood epaulettes/multi-sound holes on the upper bout enhance string vibration and sustain by improving the soundboard’s efficiency. 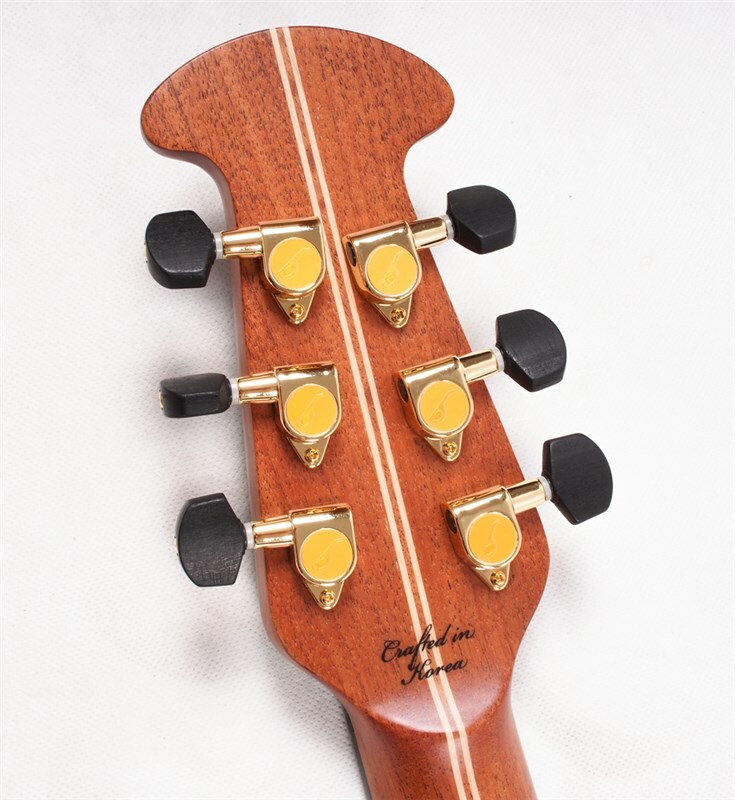 A cutaway offers full access to the 5-piece mahogany/maple neck. 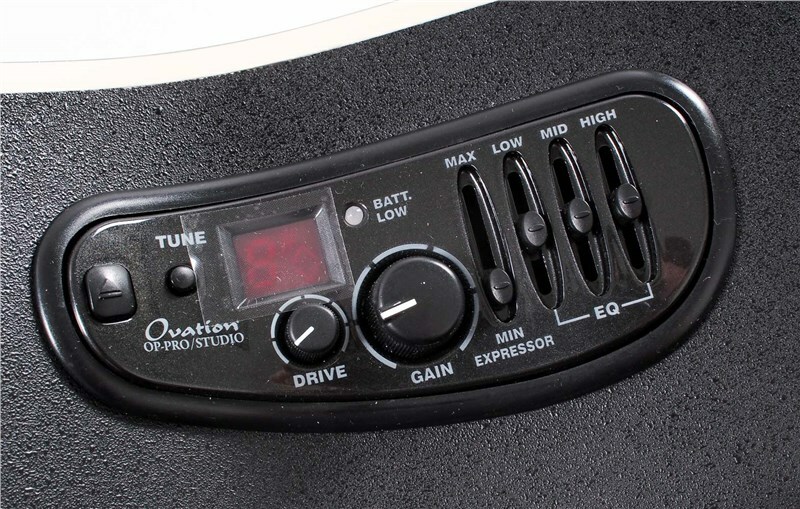 The OP-Pro Studio preamp includes a compressor, a four band equalizer, and a ¼” output jack that connects to any sound system, stage amp, or recording console.